Every Sunday, a portion of Gretna Green Way in Brentwood is blocked off from traffic to host the sizable and uber trendy Brentwood Farmers Market. Starting at 9 am, shoppers armed with their reusable bags, cash, and hopefully a cup of coffee, make their way down the long stretch of vendors selling all kinds of goodies. Surrounded by fresh produce, baked goods, and even hand made clothes, you may find it impossible to leave without buying at least a bags worth of items. And if you’re not too full from the abundance of free samples, you also have the option of eating breakfast and lunch at one of the many stands selling hot meals. We know farmers markets can be overwhelming, especially if you are not an avid farmers market shopper, so we’re going to give you the break down on what our favorite items are to buy at the Brentwood Farmers Market. This farmers market offers so many different kinds of fruit that it would be hard to pick a favorite. From the standard berries, apples and oranges, to the less common fruits such as clementines and persimmons, this farmers market seems to have it all when it comes to the fruit department. The stand out fruits though are the hybrid fruits. 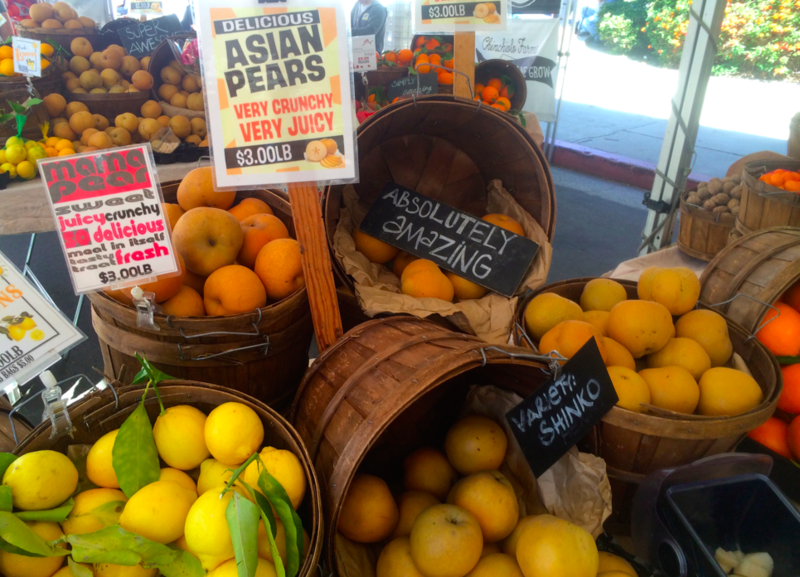 The asian pear, which tastes like a pear with the texture of an apple, and the pluot, which is a hybrid of a plum and an apricot, are definite must buys, or at least must tries, since you can sample almost all of the fruits. 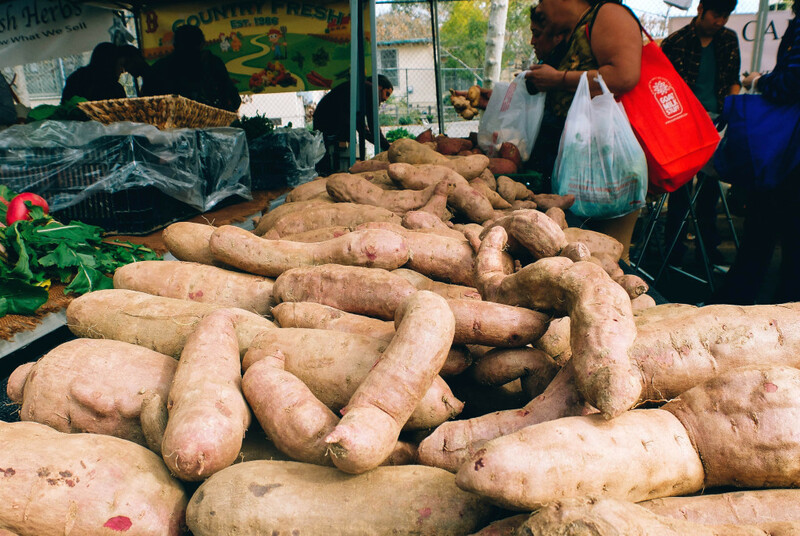 According to the vendor, these sweet potatoes have the most antioxidants and vitamins of any other type of sweet potato. Plus they’re deep purple, which makes them way more edgy than their orange family members. Just plop it in some boiling water for around two minutes and you’ve got yourself the perfect Italian dinner. 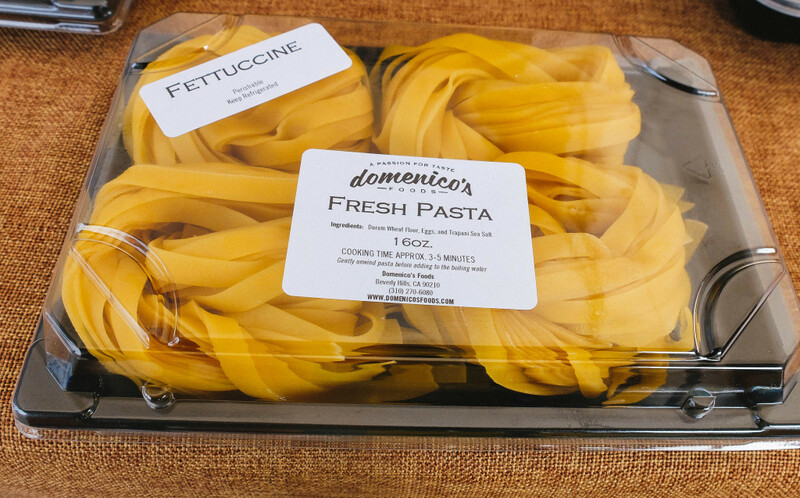 Add a little basil, olive oil or tomato sauce and your friends will be quite impressed. Do you love hummus but are dying to spice it up with some new flavors? This is definitely the stand for you. 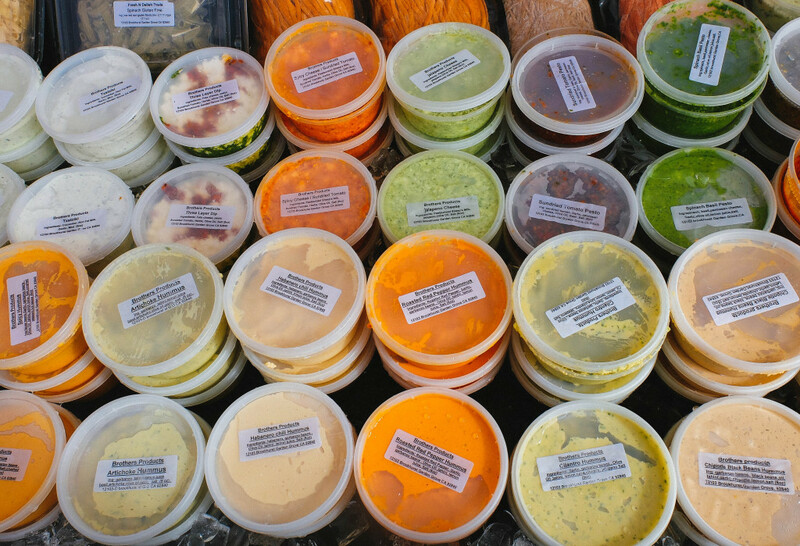 With flavors like jalapeño, roasted bell pepper, chipotle and garlic, this vendor definitely knows how to kick up this simple Mediterranean spread. 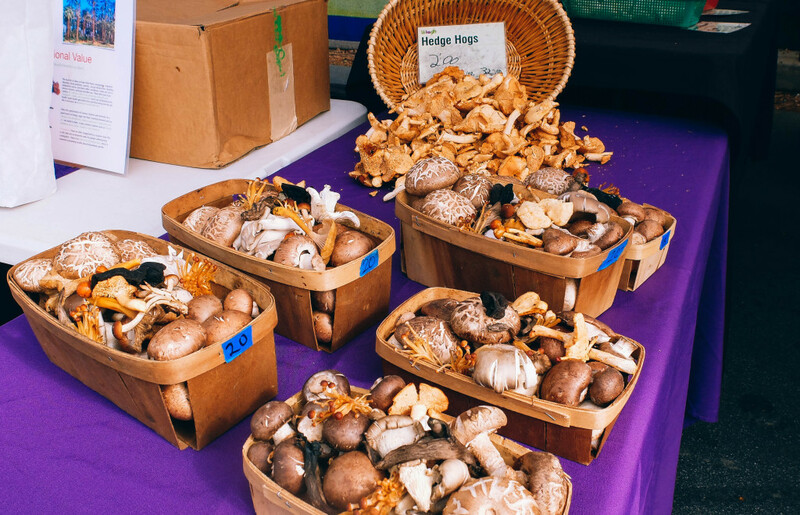 Who knew that you could eat this many different kinds of mushrooms? I know it sounds really weird and unappetizing but if you like potato pancakes than you’ll definitely love these. 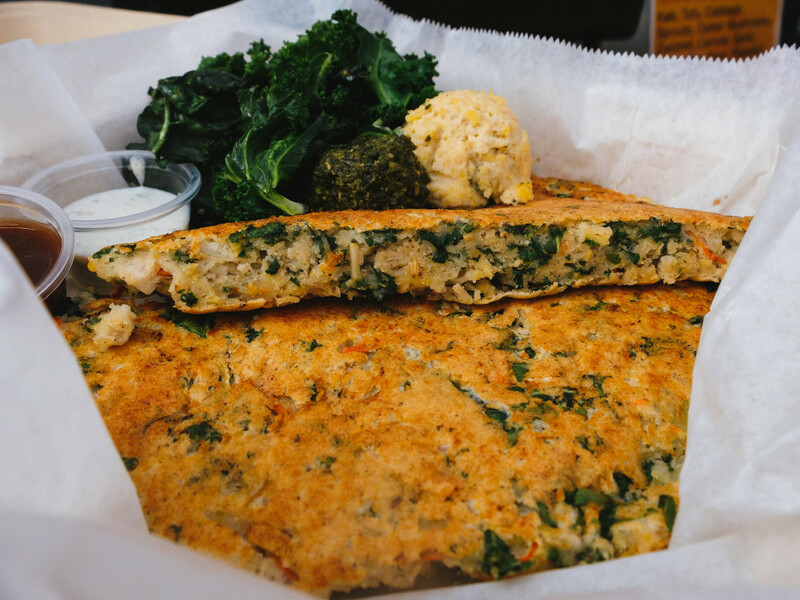 Made with organic egg whites, chickpeas, and a whole load of veggies, these pancakes are delicious and nutritious on a whole new level. Plus it comes with hummus, so what’s not to love. 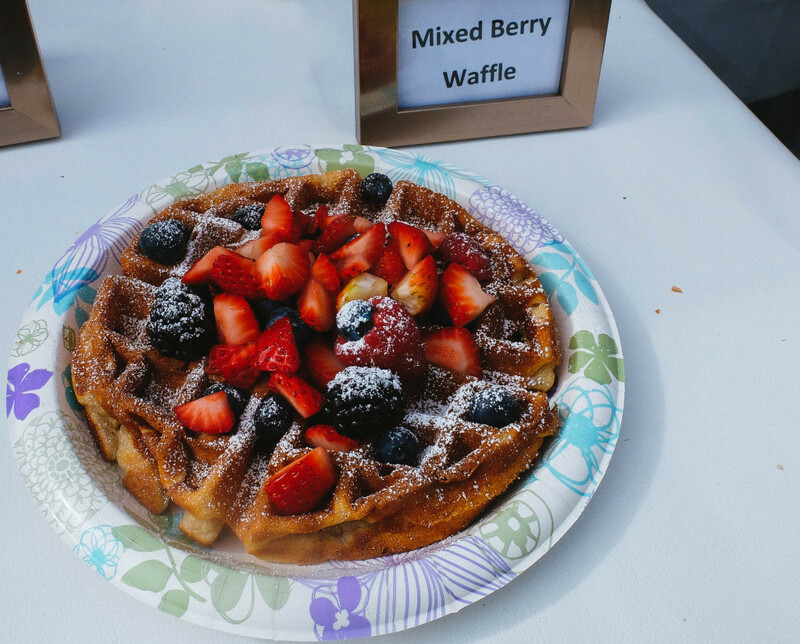 This stand offers both savory fried chicken waffles and sweet berry waffles. We won’t judge you if you get both. Calling all vegans and lactose-intolerant friends. 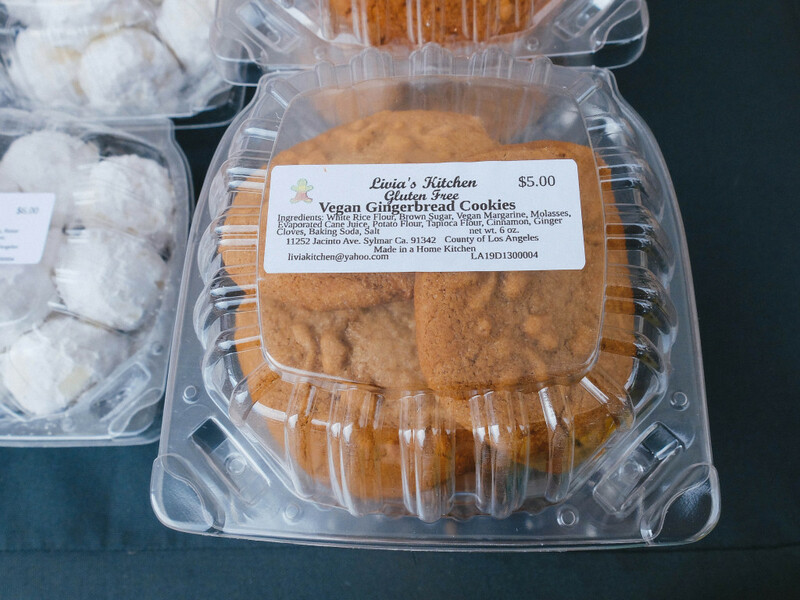 The vendor told me that she has a customer who buys at least 10 boxes every week of these cookies…and he’s not even vegan.